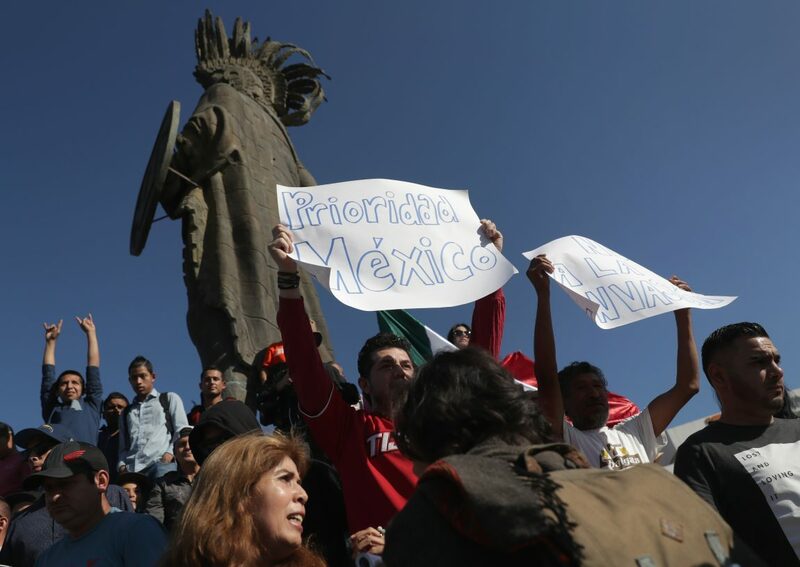 “Mexico First” anti-migrant protests are taking place in the border town of Tijuana. The very fact that this is happening at all dispels the Liberal-Globalist Mainstream Media smear attacks that everyone opposed to illegal migration is a “racist”, “fascist”, and/or “white supremacist”, and it also debunks the actually racist notion that Mexican society is politically homogenous. Like in any country, there’s a diversity of opinions about everything in Mexico, and especially the topic of illegal migration, whether it concerns their own countrymen or those from the Central American states. In this case, the citizens of Tijuana are concerned that the large-scale influx of Central American migrants will lead to socio-economic and security pressures on their city similar to those described at length by Ivy League researcher Kelly M. Greenhill in her 2010 book about “Weapons of Mass Migration”. There’s nothing discriminatory in worrying about a host population’s ability to absorb an unexpected increase in migrants, and if anything, Tijuana’s citizens have plenty of reasons to be uneasy about this. Their city had previously functioned as a transit location for migrants en route to the US but might actually become the final destination for them if they’re unable to make it across after Trump’s increased border security measures, which could even take the form of him temporarily closing the legal border under emergency conditions and dealing a critical blow to the local economy in the process. It’s understandable why Mexican citizens don’t want to bear these consequences on behalf of Central American migrants, ergo the reason why they’re protesting against them. It just so happens that all of this is occurring just before president-elect AMLO takes office at the beginning of December, possibly becoming his leftist administration’s first crisis if the protests don’t die down before then, which they probably won’t unless the migrants either make it across the border or retreat from Tijuana. Mexico’s next leader might therefore find himself trapped in the dilemma of having to use force against either the protesters or the migrants, both of which could carry with them serious political ramifications. Siding with the protesters might alienate his leftist base that swept him into the presidency, while going with the migrants could generate an intense nationalist reaction against him and provoke Trump’s wrath. Most observers may not have foreseen it, but the Migrant Caravan might become more of a problem for the Mexican President than the American one.